1. State and local sales tax deduction. Individuals can take an itemized deduction for state and local sales taxes instead of for state and local income taxes. This option can be valuable for taxpayers who live in states with no or low income tax rates or purchase major items, such as a car or boat. 2. Tuition and related expenses deduction. This above-the-line deduction for qualified higher education expenses may be beneficial to taxpayers who’re ineligible for education-related tax credits, though income-based limits also apply to the deduction. 3. Home mortgage debt forgiveness exclusion. Discharge of indebtedness income from qualified principal residence debt, up to a $2 million limit ($1 million for married taxpayers filing separately), may be excluded from gross income. 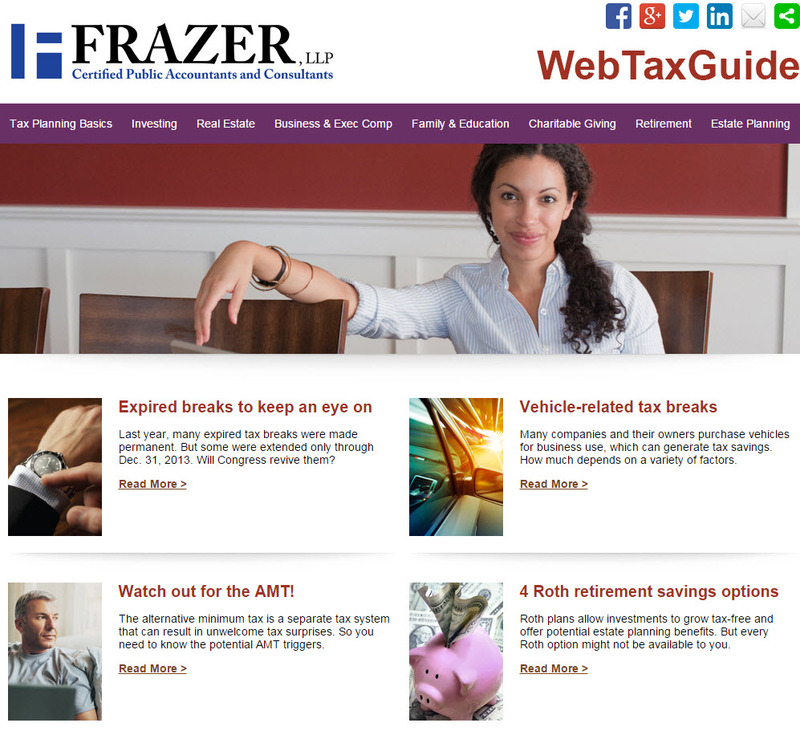 To learn whether you qualify for these — or other breaks extended by TIPA — please contact your Frazer LLP tax advisor in Brea, 714.990.1040, or Visalia, 559.732.4135.